Rose Frantzen and her parents, Wayne and Ellen Frantzen, purchased Maquoketa's former city hall in 1991, converting the three story 1901 building into a gallery and studio space. The Old City Hall also served as the town’s fire station, police station, and was even used for classroom space. 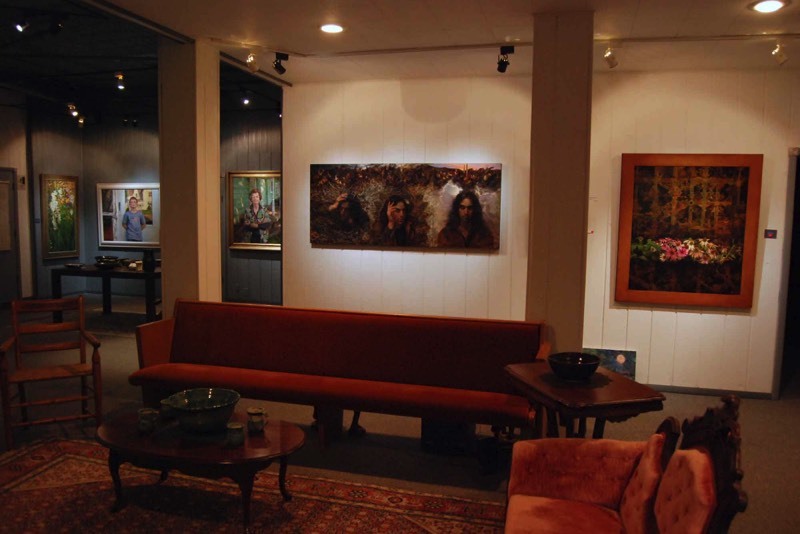 The gallery is located at 121 S. Olive St., Maquoketa, IA 52060. Hours are 11 am to 5 pm daily, but if you are coming from a distance, please call 563-321-1074 in advance to be sure that we will be here. Airports nearby include Dubuque, IA (DBQ, 23.9 miles), Moline, IL (MLI, 48.2 miles), and Cedar Rapids, IA (CID, 67.7 miles).